She is a CERTIFIED FINANCIAL PLANNER with over a decade’s experience in the training industry. Apart from holding CFP certification, she is a post graduate in Economic Administration and Financial Management, Certified Personal Financial Advisor and Licentiate member (LIII) of Insurance Institute of India. She is holding NSE’s certifications in the equity market, derivatives market and mutual funds as well. She has extensive training experience with corporates and various education institutions like EIL, Railtel, IPPB, Deutsche Bank, Ratnakar Bank, Maruti, P & B, Trust Plutus and Bajaj Capital to name a few. Besides working as a trainer for personal finance, she is also the author of some of the popular educational books like ‘Securities Laws & Compliances’, ‘Easy Approach to Tax Laws’ and ‘Solved Scanner for Direct Taxes’. Numerous contributions have been made by her in the field of finance by writing a range of articles. 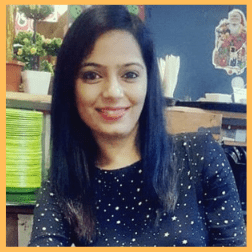 One can find her articles on common finance portals like paisabazaar, myiris, investmentyogi and thecompletewoman on common topics affecting day to day life of every human. She has been associated with financial markets and has extensive expertise in the stock market and financial instruments such as mutual funds, insurance, equities, derivatives. She has trained over a thousand professionals on various topics within personal finance including superannuation planning, finance for non-finance, NPS, mutual funds etc.